A4EP release position paper on Grand Bargain: urge signatories to deliver. 25th January 2019. 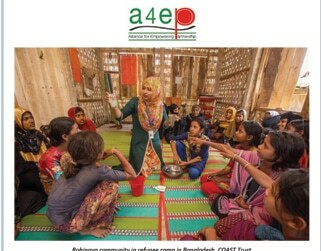 Alliance for Empowering Partnership (A4EP), an international network of NGO/CSOs has released a positon paper on Grand Bargain (GB). The termed the process is top down and they urged for four immediate actions in this regard, (i) to initiate inclusive and participatory process especially for the southern actors, (ii) wider dissemination and roll out action plan from signatories, (iii) transparency and accountability at local level and (iv) signatories should plan on how and what to deliver their commitments beyond 2020. Note that GB is the commitment agreement of all most all UN agencies, major donor countries and major INGO Network who signed this during May 2016 in World Humanitarian Summit (WHS) Istanbul. WHS is a process of global discourse during the period of 2013 to 2016 initiated by UN. You can download the position paper from here.